14 May St, Semouha, Alexandria, Egypt. 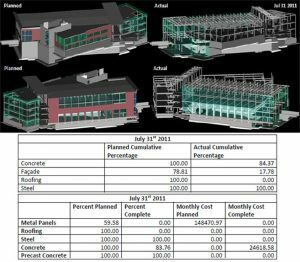 How much does BIM cost? IBIMs provides BIM 4D BIM 5D services (four-dimensional building information modelling) that we use for construction site planning related activities. Moreover, The fourth dimension of BIM allows participants. Moreover to extract and visualize the progress of their activities through the lifetime of the project. 4D BIM, an acronym for 4D Building Information Modeling and a term widely used in the CAD industry. Moreover it refers to the intelligent linking of individual 3D CAD components or assemblies with time- or schedule-related information. 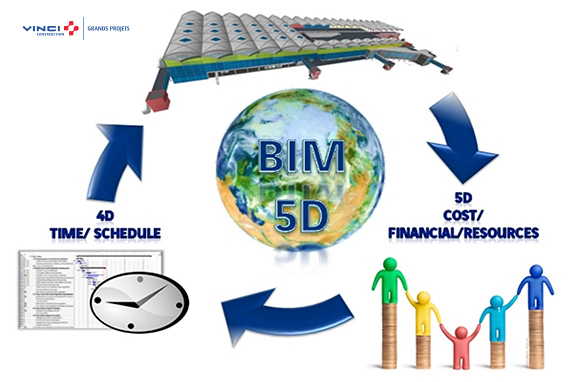 5D BIM, an acronym for 5D Building Information Modeling, is a term used in the CAD and construction industries. Moreover it refers to the intelligent linking of individual 3D CAD components or assemblies with schedule (time – 4D BIM) constraints and then with cost-related information. In 4D Scheduling, we link every object in a Building Information Model (BIM) with its corresponding schedule activity to create an accurate animation of the construction process.Moreover, Due to the length and extensive nature of the construction process this vastly enhances the planning and scheduling process. 4D modeling allows the owner to leverage the greatest value out of their BIM during the design phase by visualizing construction sequences in order to develop a phasing sequence to include in the construction documents. Currently, IBIMS’s 3D models are suitable for full BIM compliant take-off. We can create 3D models from 2D drawings or adapt architects 3D models to allow for work breakdown structuring to an agreed SMM format. At IBIMS we do utilize traditional cost methodologies and use them into advanced BIM software’s (5D Cost Planning) thus, we take traditional Quantity Surveying to the next level. Moreover We provide assistance to projects at any phase of their development from Concept Design through to Construction and beyond. 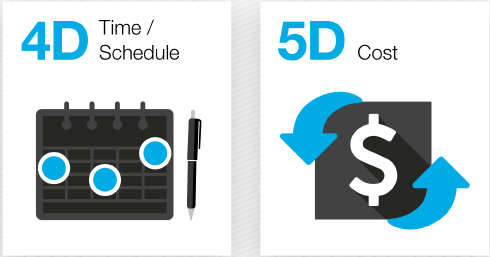 BIMStar provided 5D Cost planning services throughout construction stages. Looking for a quality BIM modeling firm for your next project? IBIMS is a BIM consultancy and BIM services delivery firm, with a precise focus on BIM integrted project management services for the AEC Industry. 14 May St, Alexandria, Egypt. Copyright 2018 I-Bims, All Right Reserved.